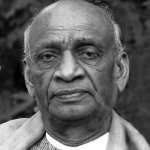 National Unity Day (or Rashtriya Ekta Diwas) was established in India in 2014, when the government proposed celebrating the birthday anniversary of Vallabhbhai Patel, a prominent Indian statesman and leader. This event takes place on October 31. Vallabhbhai Patel was one of the founding fathers of modern India. He's often referred to as Iron Man for his attempts to unify the Indian nation after it gained independence from the United Kingdom. Patel is always called in India as Sardar, that means “chief” in Hindi. Vallabhbhai Patel was born on October 31, 1875 in the countryside of Gujarat. He obtained the diploma of barrister in London and practiced in many places in Gujarat. Eventually he became a key figure in organizing a peasant movements in Gujarat and promoted the movement against the British Raj. After joining the Indian National Movement he became one of the most influential leaders. National Unity Day was created by the government of India to honor Patel's attempts and pay tribute to him. The inaugural event was opened by Prime Minister of India, who laid flowers at Sardar Patel statue and also officially started the Run for Unity in New Delhi. Run for Unity was a special nationwide marathon, held to highlight the key efforts made by Patel to unify India.